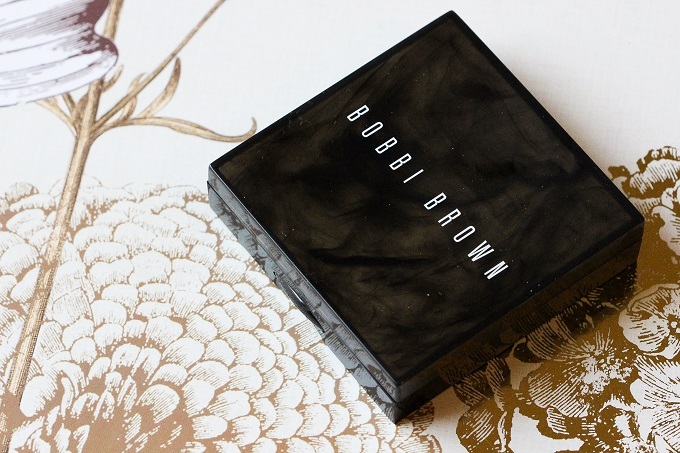 Love, Shelbey: Bobbi Brown Shimmer Brick "Sandstone"
Bobbi Brown Shimmer Brick "Sandstone"
Okay, in all honesty, I have been dying to try a Bobbi Brown Shimmer Brick for YEARS now - and when I saw this limited edition shade in "Sandstone".... it spoke to me (the fact that I am only 74 points away from VIB Rouge at Sephora also had a little bit to do with it as well.) The packaging also has a unique marbleized/smoky finish. "Sandstone" is a mixture of bronzey neutrals and a hint of some rose gold. Like all of the Shimmer Bricks, it retails for $45 (ouch... OUCH) Like I mentioned, it is limited edition and won't be available forever! Upon opening I think my heart sang to me. The last three shades were really what made me want this particular "brick". 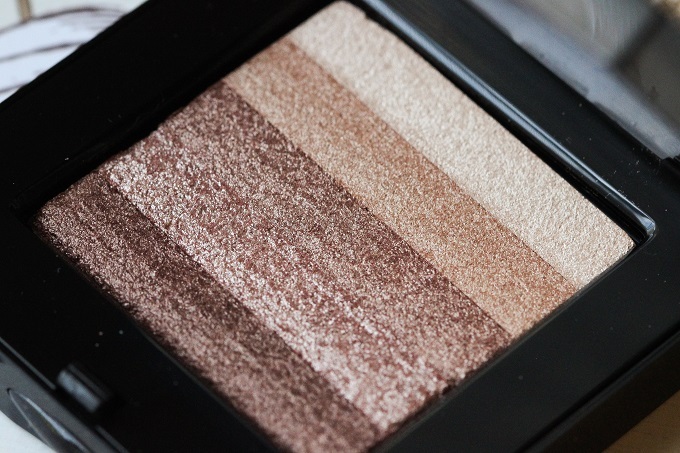 I love all of the bronzey neutrals and the fact that they make beautiful eye shadows as well. This is also a a compact where you could easily just use the top two shades as a subtle highlight and the bottom three for a deeper finish. Can you pick up on the slight rose gold hue these swatches have? I can! I'm not crazy about the lightest shade because it swatched the sheerest out of the colors (all swatches were built up twice in this photo). I do have to say that when applied with a brush, these colors explode with pigment! You definitely need to keep a light hand with it. The swatches compared to the actual application was like a total 360 difference. I almost felt disappointed when I swatched the brick - I guess I was expecting a SUPER buttery texture, but instead, the strips seemed a bit hard. The pigment wasn't bad but I guess it was different than what I had imagined, not entirely in a bad way though. The application was like BAM...in your face pigment! I couldn't believe that what I had just swatched was was showing up so great on my cheeks. I was amazed! I wanted to keep applying it but I knew I would end up looking like a disco ball! Overall I really am pleased with my first ever shimmer brick. I can see this as being my new favorite multi-tasking product. 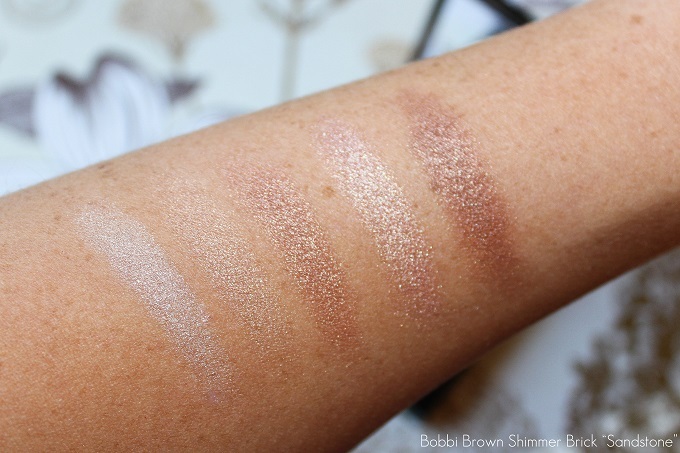 Do you guys own any BB Shimmer Bricks? If so what shades!? I'd love to know for my next purchase! Looks beautiful and fairly natural! 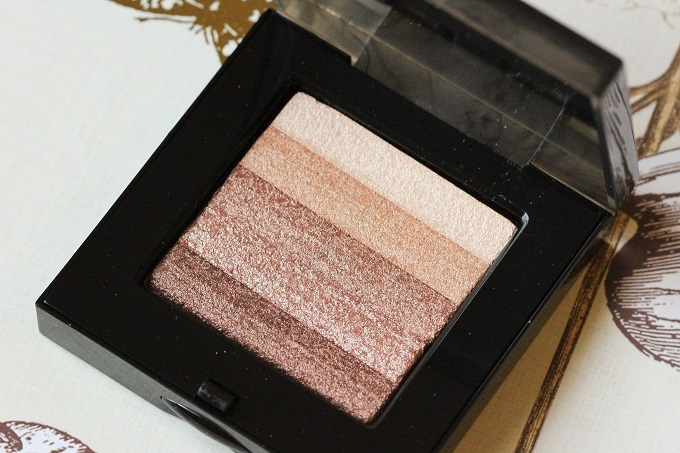 I have never been tempted by a shimmer brick -- until now! This looks stunning on you! I love that this one has some shades that can double as shadows. I just bought it! Thanks for bringing this beauty to my attention, although my wallet is less grateful, LOL! Concrete cleaning service in indianapolis is a piece of each cutting edge structure, regardless of whether business or private.